in an exciting and up-to-date manner. 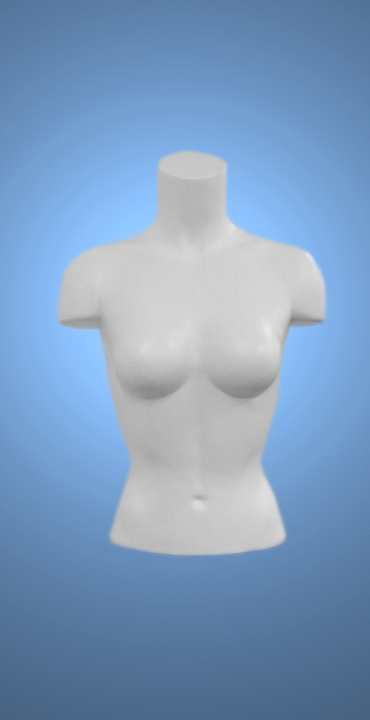 Mannequinland is your one-stop shop for all types of mannequins and display forms! 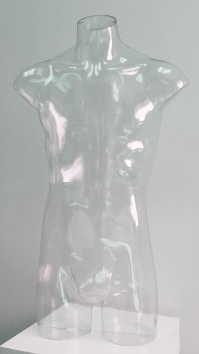 Durable clear plastic full round torso forms with Hanging Loop included. Can also stand by itself on a table or countertop. 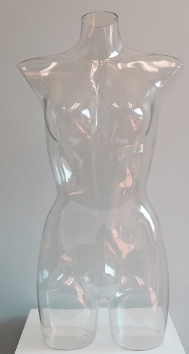 Also available with a Leg Fitting for use with a pole stand, but won't stand alone if ordered with the Leg Fitting. 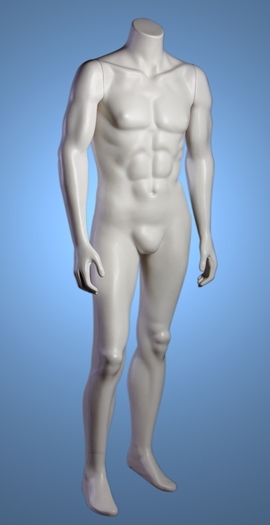 Men's measurements are 38.5" Chest, 31" Waist, 38.5" Hips, 37" High overall. 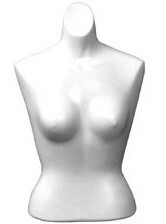 Ladies measurements are 35.5" Bust, 24" Waist, 35" Hips, 33" High overall. Stands are sold separately. Click Here to view them. 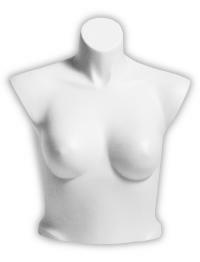 Female measures Chest 34", Waist 27", Hips 37". 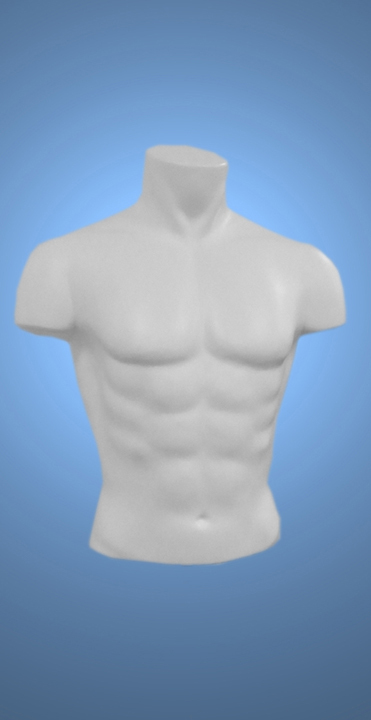 Male measures Chest 37", Waist 29", Hips 38". Each unit comes complete with a Hanging Loop and Leg Fitting for a 7/8" diameter rod installed. 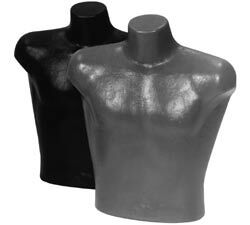 New Product Bulletin- Mannequinland has just added this new line of economical plastic molded forms. Click here for all the product pictures and prices! This popular molded plastic form is great for displaying jeans and shorts. 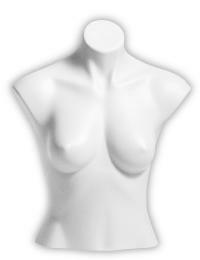 Offered in Fleshtone with a cream colored metal stand. Measurements are 26" Waist, 38" Hips, 42" High overall. This form can sit on the counter as shown here, or you can purchase the chrome base and raise it up as desired. Base is sold separately. Available in Black or Fleshtone. Measurements are 33" Bust, 23.5" Waist, 33" Hips, 23.5" High overall. This form works well with shirts of all kinds. Sits on the counter by itself, or you can purchase the Chrome Metal Stand and use the flange located in the bottom of the form to raise it up as desired. Available in Black or Suntan. Measurements are 39" Chest, 33" Waist, 24.5" High overall.